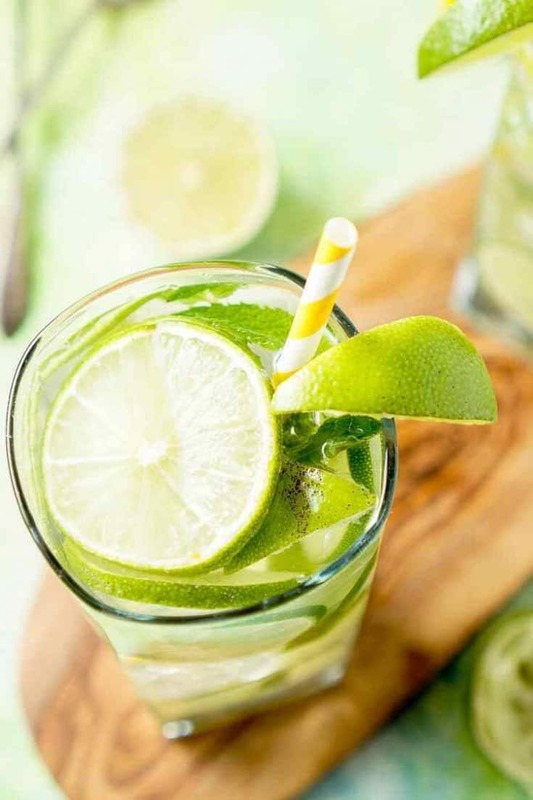 In this article: Find the best infused water recipes to help you keep hydrated and healthy in the summer, while exercising, or any time you feel thirsty! We all know that staying hydrated is so important, but sometimes it just doesn’t happen. There are a lot of health benefits to drinking infused water in addition to keeping you hydrated, including extra nutrients, flavor, and body detoxification. So what is infused water, and how do you make it? Infused water is simply water- it can be filtered water, spring water, or just the plain water you normally drink. Then you infuse it with fruit, vegetables, or herbs. 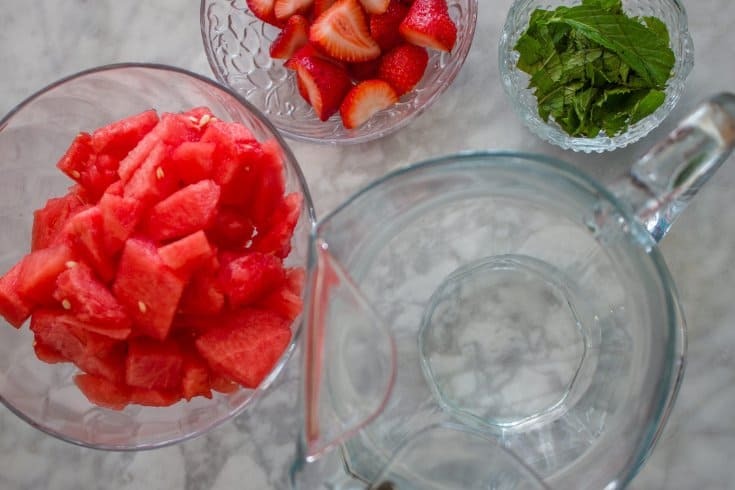 You can infuse your water by simply adding your chosen fresh fruit, herbs, etc into a glass jar filled with water and allowing it to infuse in the refrigerator for a few hours. 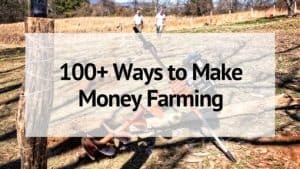 You can also get specific jugs or water bottles that are made just for this purpose. Infusing your water adds the taste of your fruit into the water making your water taste better! Infused water will help you drink more water and the flavor options are endless! Are you ready to start drinking? Below are 17 infused water recipes that are delicious and easy to make. You will never want to go back to plain water again! Cucumber has a ton of health benefits and it is one of the most commonly added ingredients to many infused water recipes. 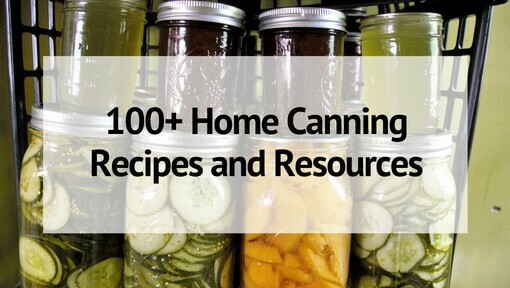 Check out these 14 recipes featuring cucumber! Watermelon, strawberries, ginger- what's not to love? You will love this flavor combination that includes no extra sugar and the anti-inflammatory properties of ginger! 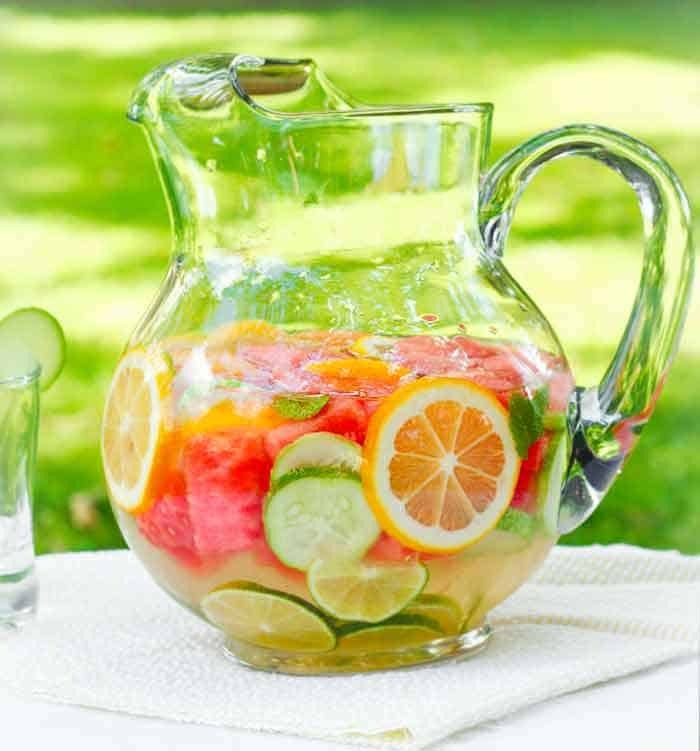 This water includes watermelon, cucumber and citrus to give you tons of added vitamins in your infused water. 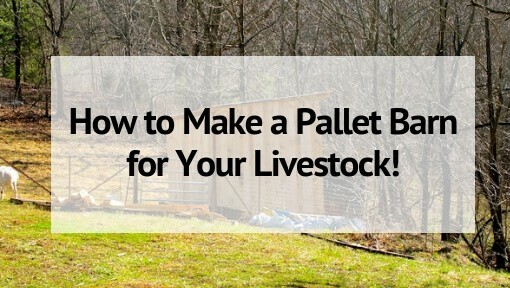 You get vitamin A, B, C plus anti-oxidants and more! I absolutely love the apple and cinnamon combination, but did you know that both ingredients have massive health benefits too? 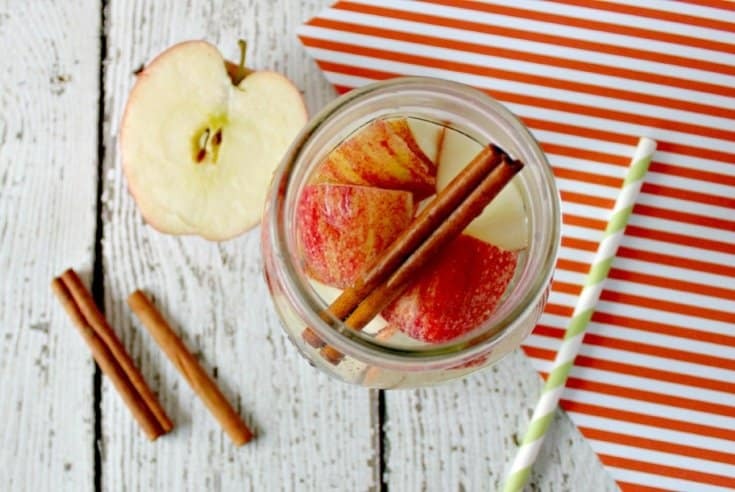 Drink this infused water recipe to get the detox benefits of apples and cinnamon! This infused water recipe is a kids favorite! 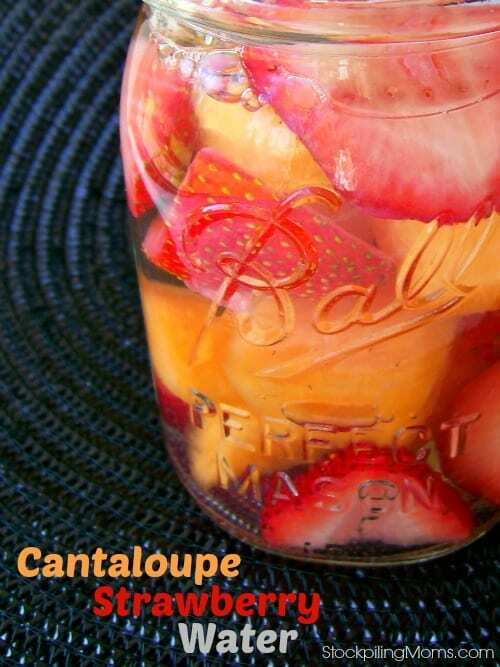 Sweet cantaloupe and strawberries are a killer combination that is energizing and will keep you drinking all day long! 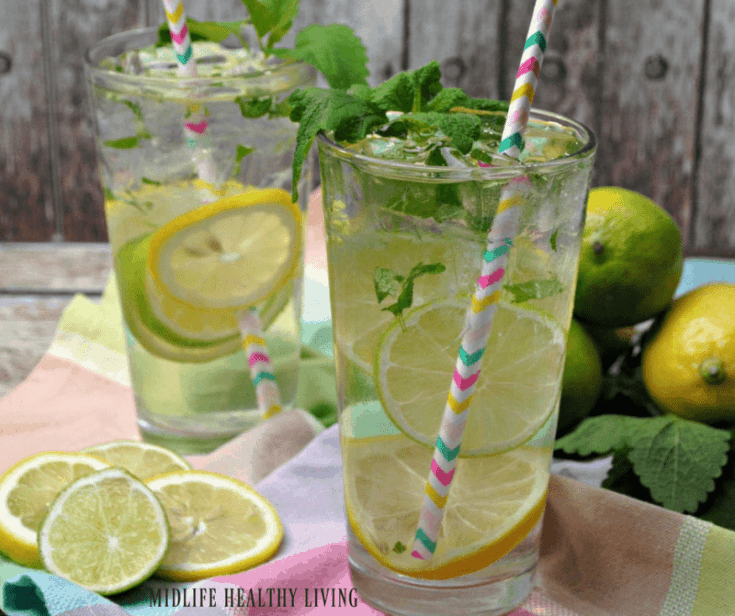 This mojito water recipe is so refreshing! It's got both limes and mint- which is a fresh combination- but no alcohol! 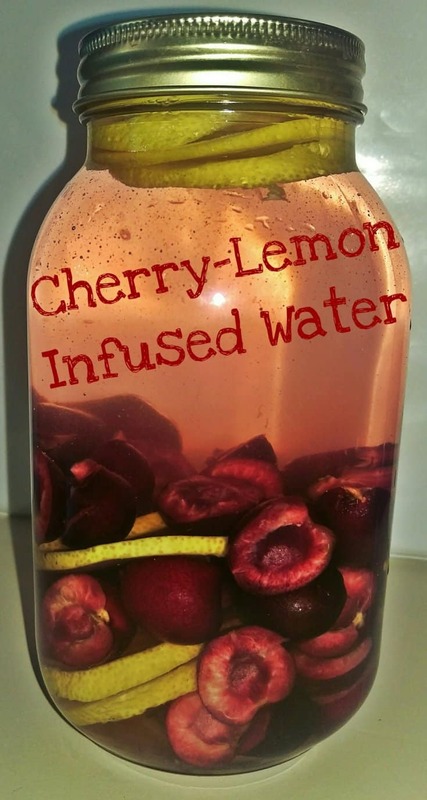 We are a cherry-loving family, and this infused water doesn't disappoint. It's got pitted cherries and sliced lemons to give a naturally sweetened fresh infused water to keep you hydrated all day long! 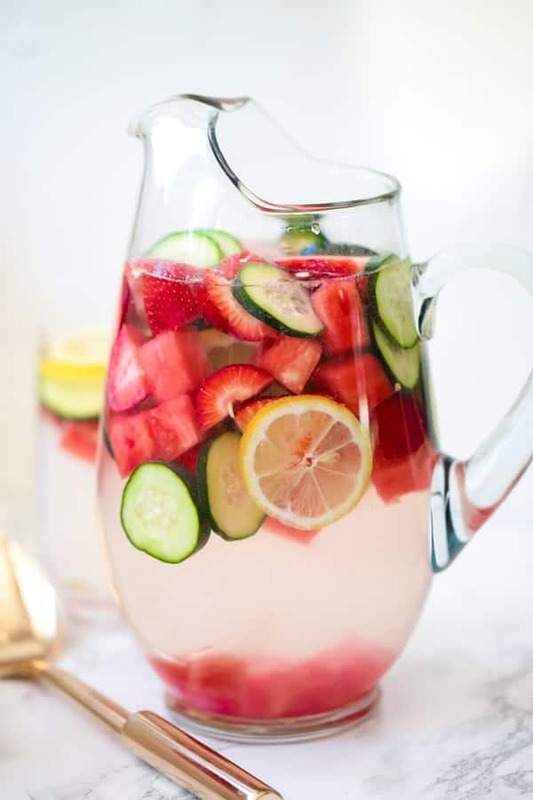 This infused water is just as beautiful to look at as it is good to drink! 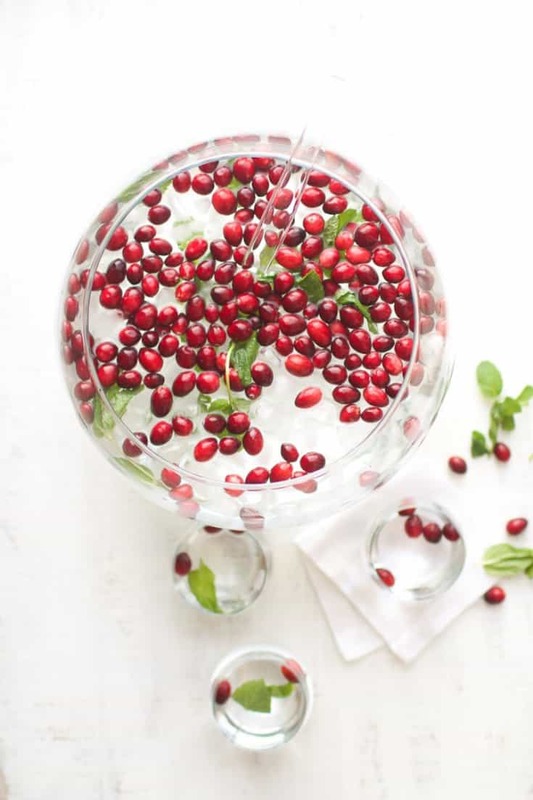 The bright red cranberries and green mint leaves would make a bold centerpiece at any get-together and will keep your guest hydrated too! Do you have an instant pot? 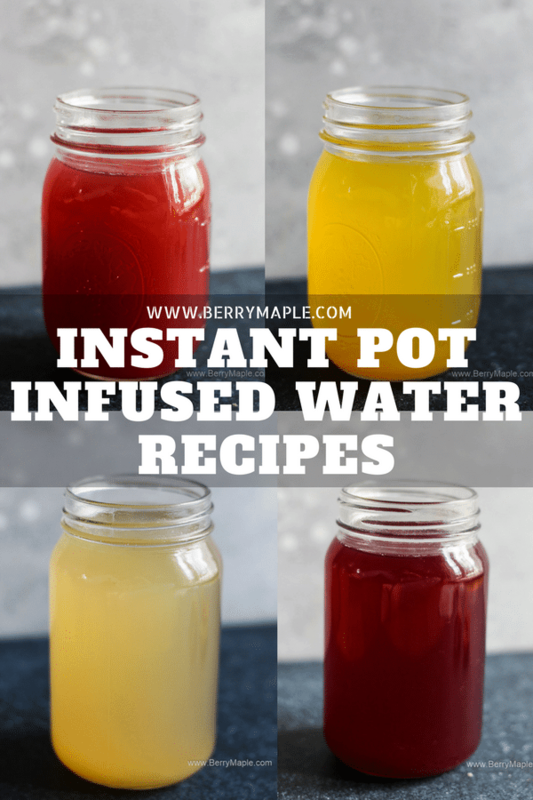 Click below to get 4 different infused water recipes made in the instant pot- aren't they beautiful?? 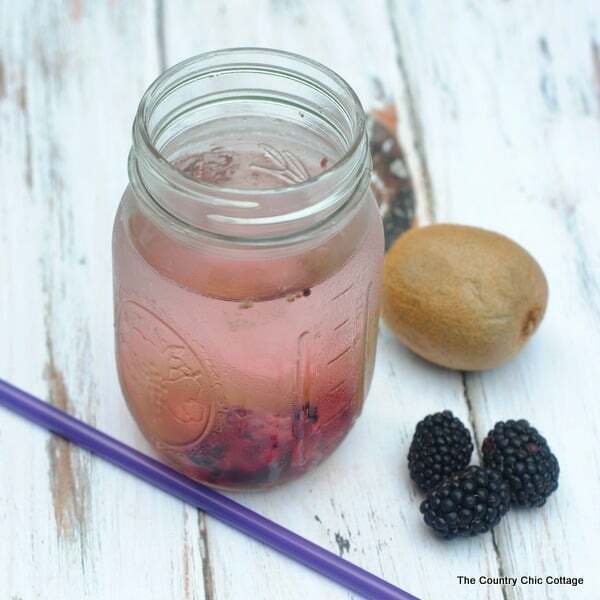 I love the color of this blackberry and kiwi infused water. 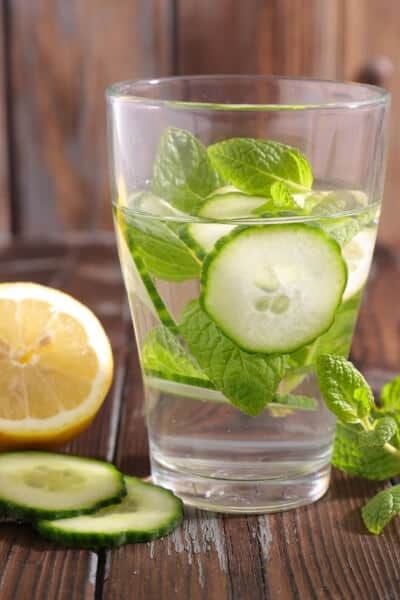 This is an unusual combination that is full of flavor and a great way to mix things up if you are tired of mint, cucumber or citrus infused waters. Keeping hydrated is super important to controlling your weight. Try this combination of mango and berries to help keep your system moving and get all the benefits of drinking infused waters. The most common herb used in infused waters is mint, but this one uses lemon balm instead. You can also find a list of benefits of lemon balm-which is a great herb to have on hand! 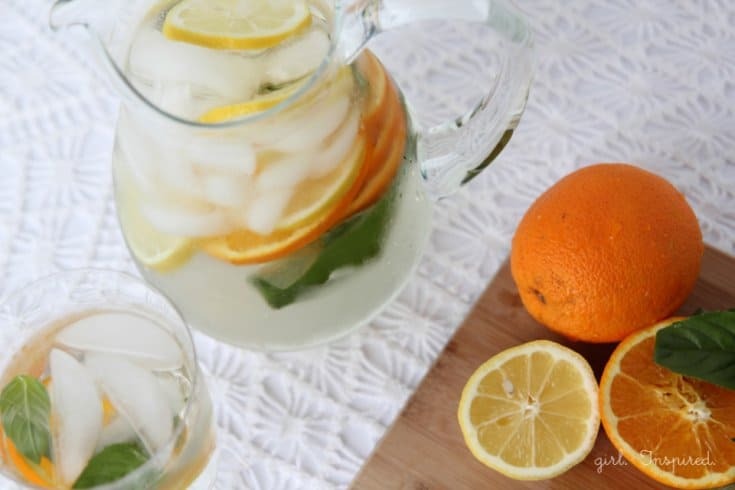 Not all infused water has to have fruit! 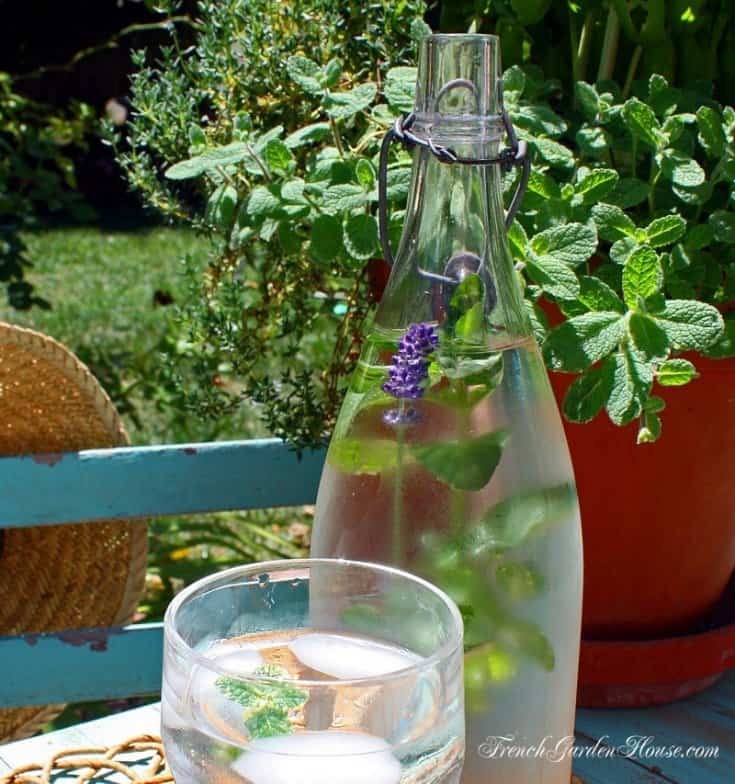 This simple infused water recipe just uses fresh herbs including mint and lavender! Lilac is one of my very favorite spring flowers. I could literally stand and smell the flours for hours. 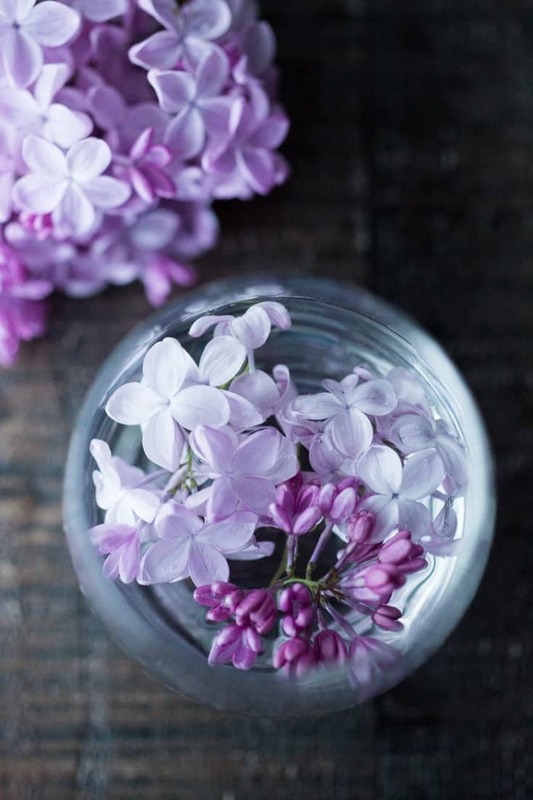 I can't wait to try infusing my water with lilac this season. The cups and beautiful and I can imagine that it will taste as good as the flowers smell. Basil and orange is a delicious combination and both contain a host of health benefits. I can't wait to give this infused water a try when the garden is full of basil! 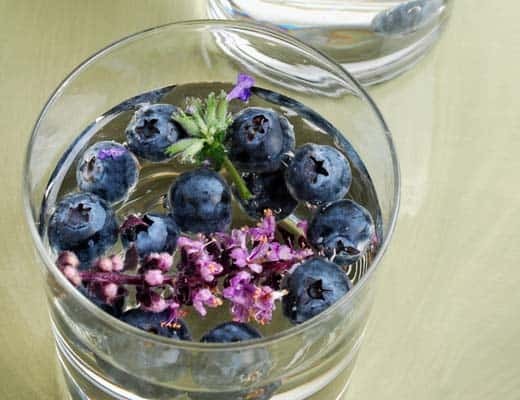 This infused water with fresh blueberries and lavender flowers just tastes like summer time! You can also crush or cut the berries a bit to release more flavor. This infused water is packed with fruit and herbs for tons of micro-nutrients and vitamins. This water is filled with vitamin C, vitamin A, and folate. The natural sweetness of the fruit will keep you drinking throughout the day. And that’s more than 17 different infused water recipes to try out. As you can see the flavors are limited only by your imagination. Or any other flavors I may have missed. 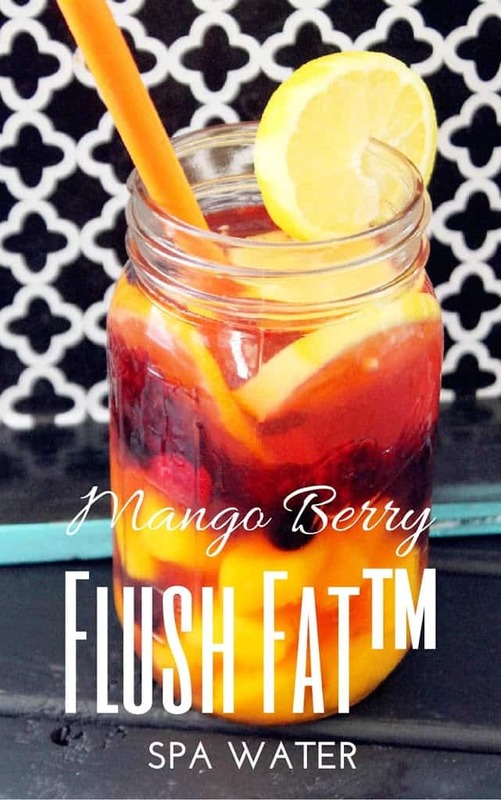 Just combine your favorite flavors into a jar of water and allow to infuse for 30 minutes to overnight and then enjoy! What is your favorite combination? 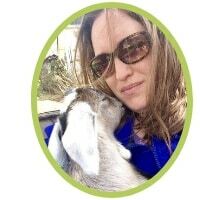 © 2019, Sarah R Toney. All rights reserved.